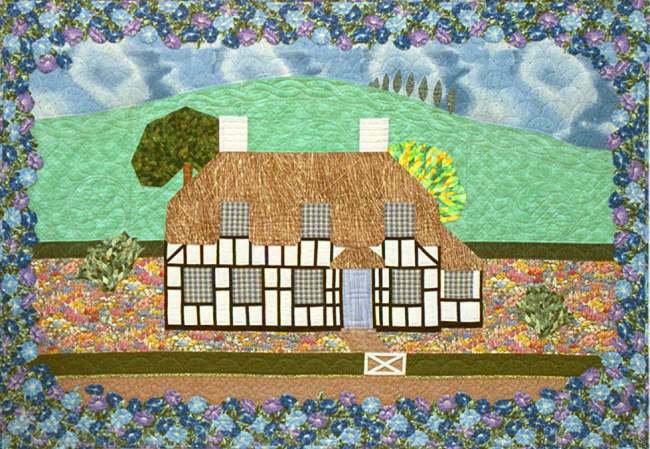 April, 1996 – England – This is an architecturally diverse land, but the one constant is the English love of flowers. Many homes are completely surrounded with blooms. Behind this Tudor house rises a moor with a row of poplar trees. The quilting features traditional North Country designs: the tea cup, feathered wreath and chain border.